We had already carried out lots of user testing on the individual component parts, but it was really important to do a private beta across the whole service so that we could test how it all fitted together. We wanted all 7 scrum teams to have sight of everything we were learning in private beta, which logistically is quite a challenge. We set up a wall of research (see photo) which was highly visible to all teams. We printed the screens which were being tested each week and annotated them every day with comments from employers on post-it notes. Comments were either green (it’s fine, I can use it), amber (I’m a bit confused) or red/pink (I can’t carry on). Other colours were used for our notes. This wall became a visual way of sharing what employers were saying (for example, a pile of red post-its on one screen showed there was an issue). Once a week, the user research clan (user researchers from each scrum) invited all teams to stand in front of the wall and ask questions about employers’ feedback. Following the session, the researchers worked with the relevant product owners to make decisions about changes which were needed to the product. Everyone had to do their bit to make it work; at times it was a real challenge to get things done on time, and sometimes, in the spirit of agile, we would change the priorities of what was built first. This meant that we had to be flexible about our research and re-think where we could best add value. We ran the cycle for two months with 100 employers. By the end, we were much closer as product teams and we all understood how the service fits together from an employers’ perspective. We’re all working to a single backlog so that we keep the end-to-end experience in the front of our minds. We learnt more about exactly who our users will be. During the alpha phase, the people in the organisations we’d engaged with who had been keen to talk to us were generally apprentice or training managers, often sitting within HR, and usually at middle management level. When they started to use the service, they quickly realised there were some tasks they couldn’t complete alone. Because of this, we started to engage with other potential users - like members of the payroll team or more senior managers. Again, because we were asking employers to use the service for the first time in a real situation, and input real data, they often needed to communicate with different parts of their organisation. Sometimes, these different departments might be completely separate or even outsourced. Awareness of this really helped us to tighten up our segmentation and personas. We found out, for example, that finding the right person with access to Government Gateway details was really hard. If you’re a small organisation, those details could be with someone sitting at the next table. If you’re a big organisation, this could be outsourced or could be handled by someone in a completely different department or building. During alpha, all of our testing was moderated, and most of it on small parts of the service at a time. This meant that the participant was usually given some context into the service and what was being tested. Unmoderated testing in private beta really challenged our assumptions around users’ understanding of what the service is for and how to use it. Private beta taught us a lot about our users and what they did and didn’t know. I’m looking forward to finding out even more as we enter public beta. You can follow our progress here on the SFA Digital blog by signing up to email updates or our RSS feed. When we will be able to access the DAS please? It has been published for a while now, that from January 2017 we will be able to open an account on the service, but so far I have not been able to find a way to do this? Could you tell me if this is all set up for companies to use yet? Same comment from me. When can I sign up my company to the Digital Apprenticeship Service? We are towards the end of January and the published information suggests that levy paying companies will be invited to register on DAS from January 2017 - is this revised or is it to be done incrementally with batches of companies at a time? so maybe not open to all in January? ...Or have I missed the invite? Does anyone else find it frustrating that we have to search for this? As a business who will immediately be captured by the levy I'm frustrated by the lack of information and constantly having to look for updates. We have invited a small selection of employers to register on the new apprenticeship service over the coming weeks. We are phasing the registration so that we can continue testing and improving the service, before inviting all levy-paying employers to register by the end of February. Government Gateway is the online service that your payroll or finance department use to submit tax returns. If you don’t have your Government Gateway login details, you may need to ask someone from your payroll or finance department to help you set up the account, or to set it up on your behalf. When registration is open to all employers, we will ensure that we give you the link here on the SFA Digital blog. I was just checking if there had been any updates and saw your comment above. When you say you are phasing the registration how are you planning to contact companies? We employ a payroll management company, I assume they will not get our invite instead of us? 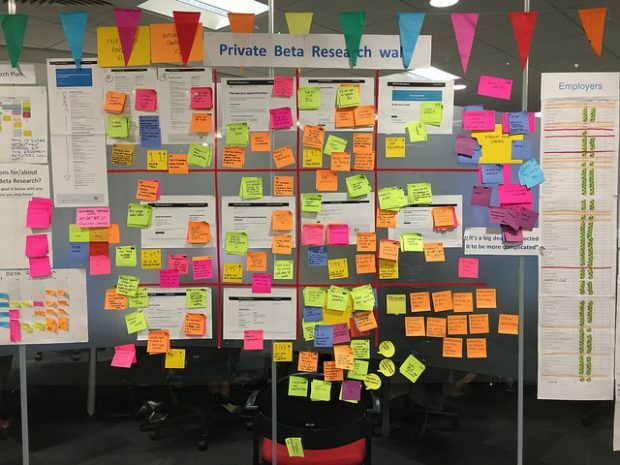 I'm a user research on a government project about to go into private beta and it would be great if I could get a chance to ask your user research a few questions about your approach.